Sinopia is proud to introduce our February 2010 Artist of the Month: Tim Campbell. Tim Campbell Design is a full service design studio, specializing in utilizing highly skilled individuals, who create unique and creative living environments. Tim Campbell creates these living environments, by being involved in every step of the construction process. After the consultation with the client, Tim develops a comprehensive design. 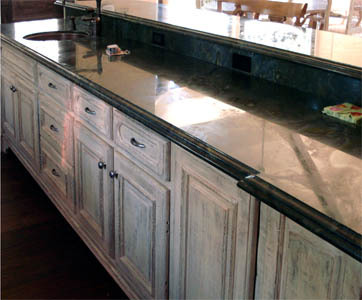 Tim grew up in a family of interior finishers and designers, which has given him a broad range of talents. Once a design has been approved, Tim becomes involved in every aspect of the design's implementation. He will create unique wall finishes, convincingly distressed and aged surfaces, and sometimes even build furniture. This way Tim can ensure that no detail is overlooked in creating his vision. Tim Campbell has been customer of Sinopia Pigments for many years. Many of Sinopia's products have been become an indispensable part of Tim's working process. 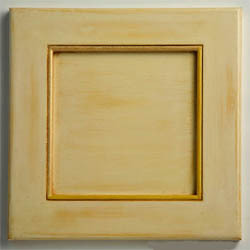 Sinopia Milk Paint: has been the cornerstone for many of Tim's techniques for years. He uses this versatile paint to create a large variety of wall finishes. 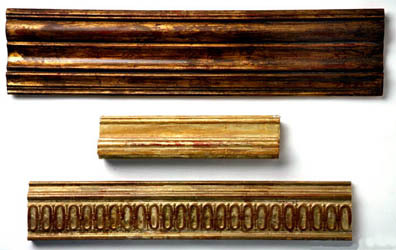 Genuine Gold Leaf: is a pivotal foundation for Tim's Gilded and Aged Surfaces. The gold offers a highly reflective surface, that permeates the aging glazes. The gold leaf is also thin enough to allow the reductive technique of exposing the substrate of the gilded surface.